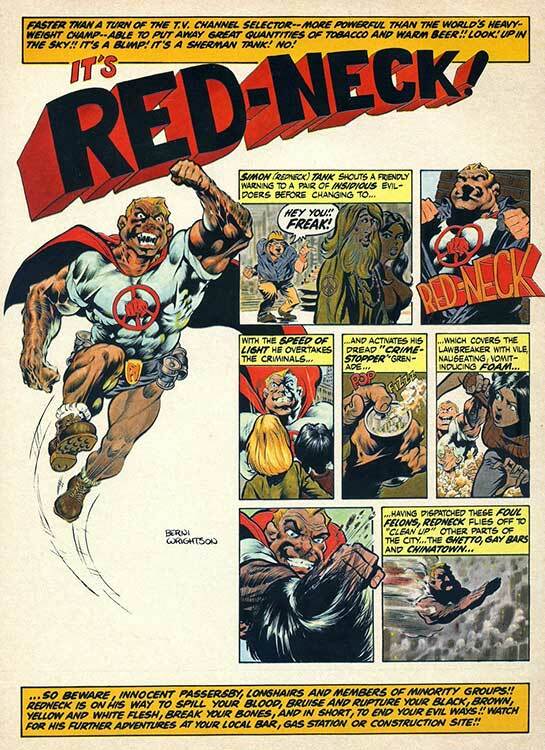 Hero Histories: Berni Wrightson's RED-NECK! 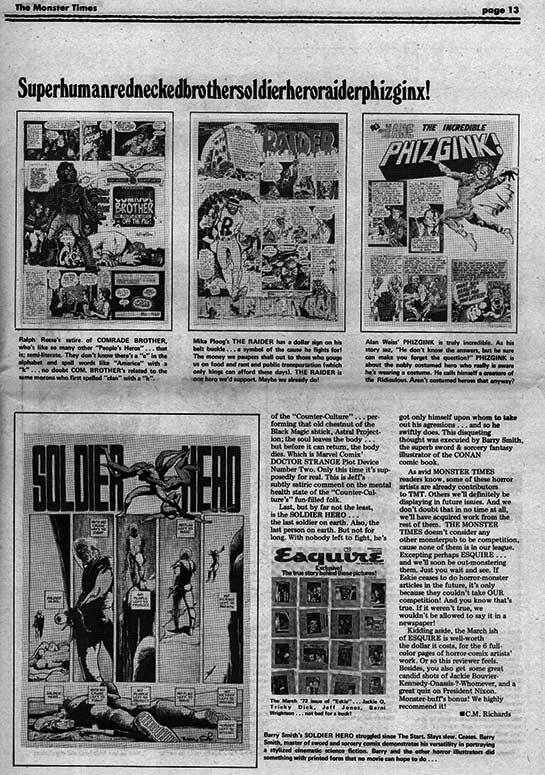 ...and this never-reprinted strip is probably his least-known work in the genre. 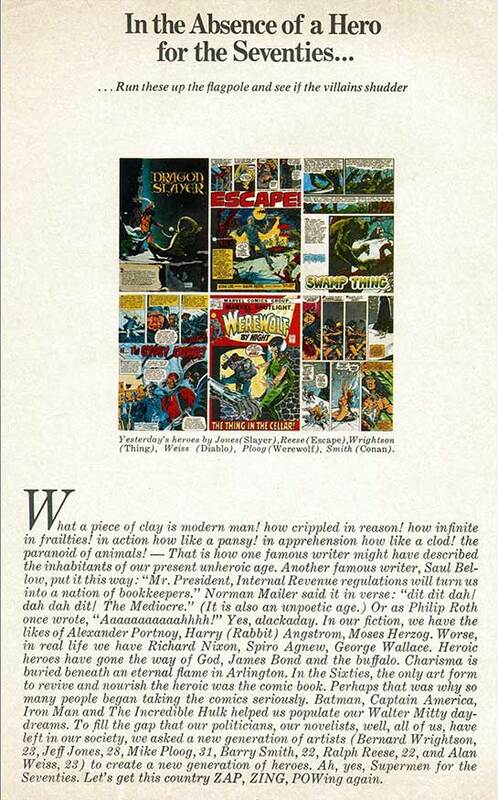 It's not even from a comic, but from Esquire Magazine's March 1972 issue! 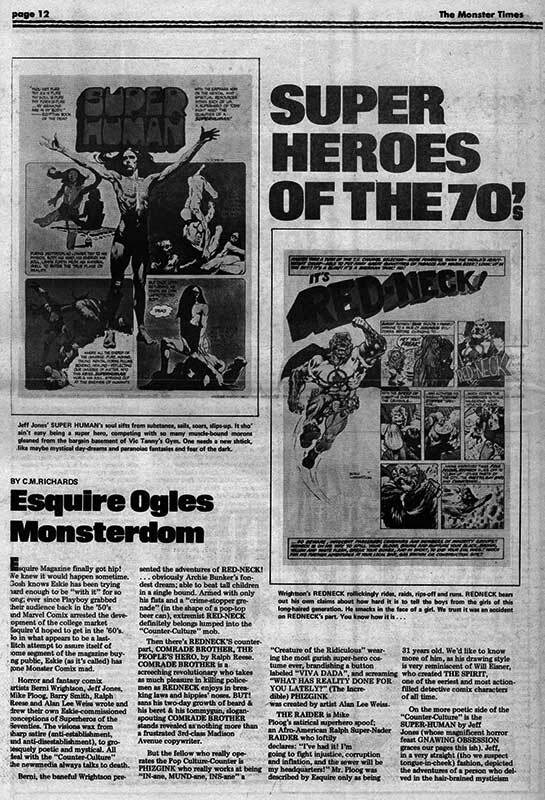 The Monster Times #5 (1972) reviewed the article and accompanying strips. 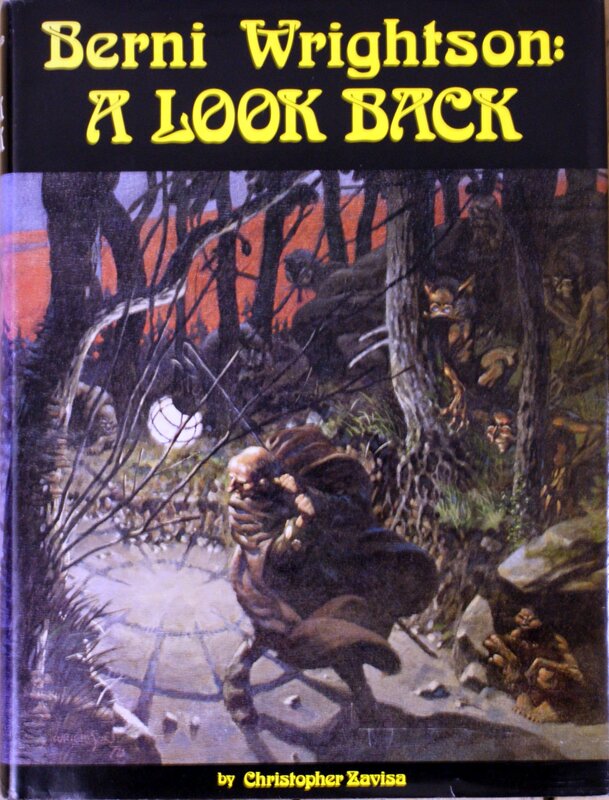 "Berni, the baneful Wrightson, presented the adventures of Red-Neck...obviously Archie Bunker's fondest dream; abble to beat tall children in a single bound!" Reading Room NOT WHO YOU THINK: BANSHEE "Origin"
Reading Room: WOLFF "Mother of Waters"